Guéridons is a small side trolley on wheels which attracts attention by its unusual appearance and still is so simple and timeless in its form that it harmonises with numerous collections such as Bellevie, Flower or Luxembourg by Fermob. The Fermob Side Trolley consists of a tripod base with two round surfaces made of powder-coated and UV-resistant steel and three rolls of plastic. Guéridons is a slim and practical companion for indoor and outdoor use, offering enough space for glasses and plates, plants and flowers or grill accessories on both the desktop or the bottom of the grid shelf. The Guéridons Side Trolley on wheels by Fermob is available in many different colours and optionally available with a perforated tabletop. Guéridons in cooton white is a small side trolley on wheels which attracts attention by its unusual appearance and still is so simple and timeless in its form that it harmonises with numerous collections such as Bellevie, Flower or Luxembourg by Fermob. 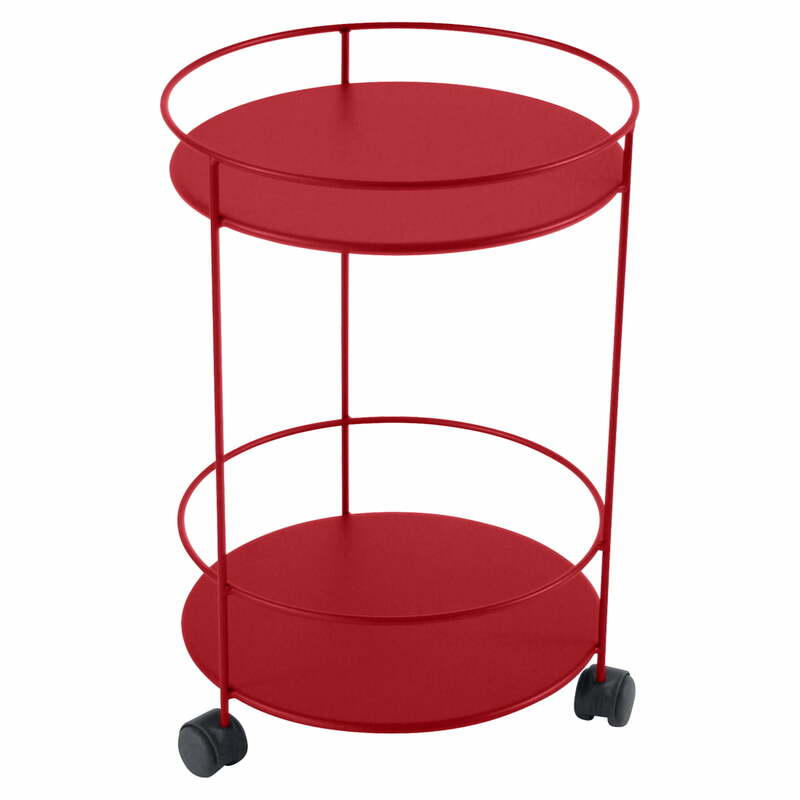 Single image of the Guéridons Side Table on wheels in poppy by Fermob. 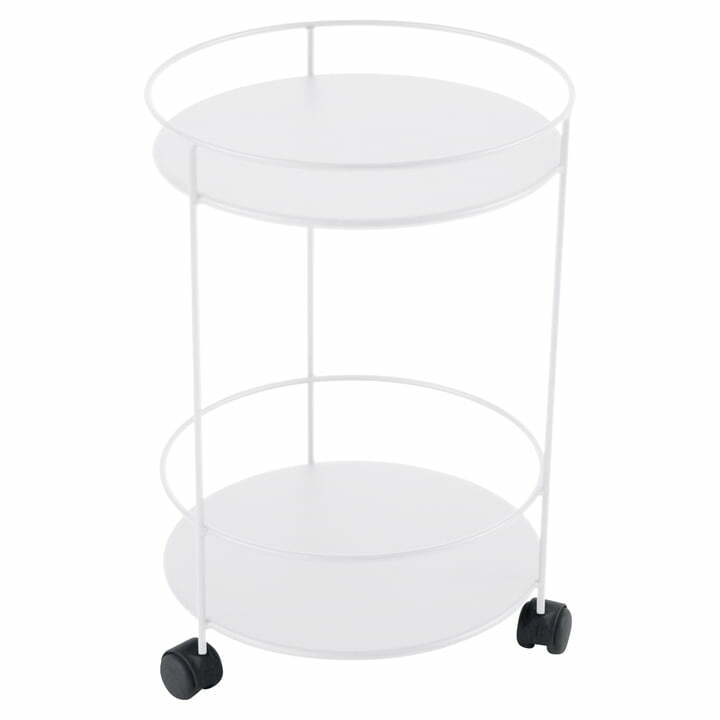 The side trolley consists of a tripod base with two round shelves. Offering a lot of space with its double tabletops. 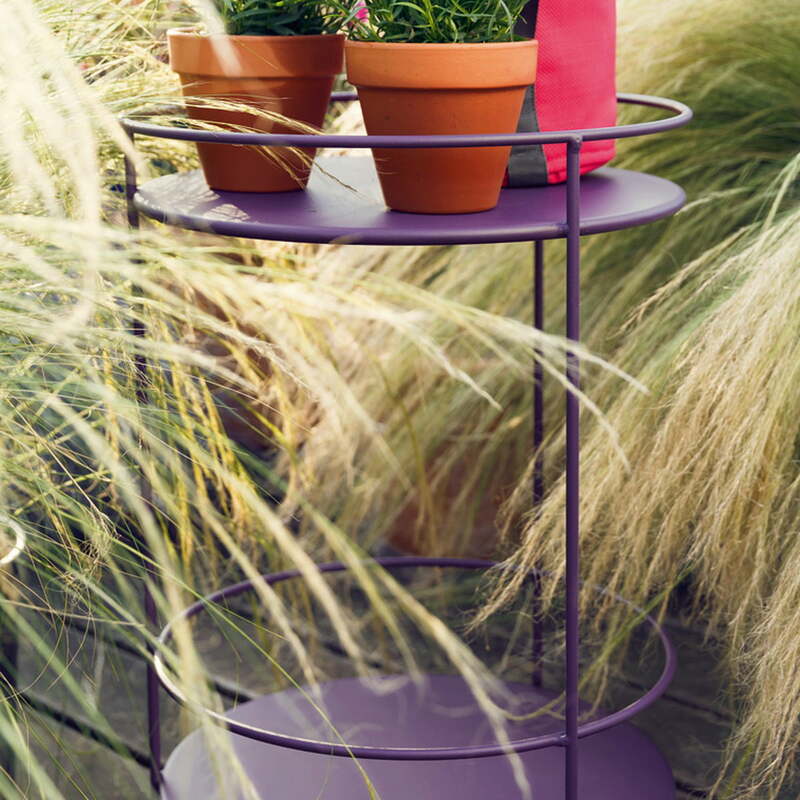 On the desktop as well as in the lower shelf, Guéridons Side Trolley in aubergine by Fermob offers enough space for glasses and plates, plants and flowers as well as grill accessories. Stylish and space-saving.